TOP-REF Project participated in the Industrial Technologies congress, celebrated between 22nd and 24th of June in Amsterdam. Ignacio Martín, representing CIRCE as Project coordinator, made a presentation with the title “New tools to improve resource efficiency in the intensive industry by monitoring and modeling. Exergy as an indicator of resource”. The presentation had great interest among the attendees, as it deepened into the innovative indicators that the project is developing to carry out the energy assessment of industrial plants. This is one of the results of the work done by the partners of TOP-REF after two years of execution. 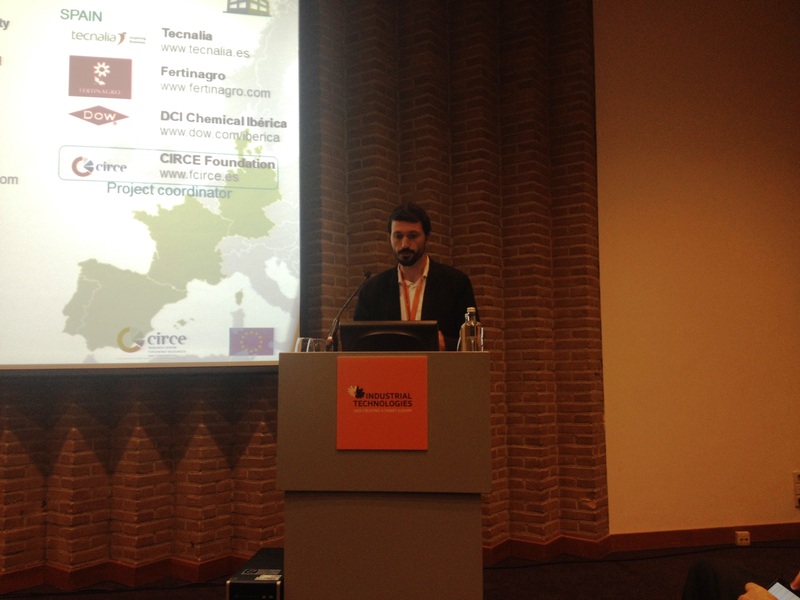 In addition, the presentation also focused in the application of the exergy concept in the project partners Fertinagro and DCI’s industrial plants, as well as in the relevance of the modelling and simulation tool. Finally some results achieved so far were showed to the attendants, such as the gas and power consumption reduction in these industrial plants or the economic savings due to those energy savings, in addition to the replication potential of TOP-REF to other sectors. Insdustrial Technologies is a forum celebrated annually, which brings together the most relevant international professionals on industrial production, ranging from production technologies and materials to nanotechnology or scanning.